People don't realize how good a deal Denver got. All those players + draft picks. Also, Nene could easily become top 3 centers in NBA now. Did you know he's had highest FG% and TS% (efficiency) in nba last 3 years? He can score, but with Melo and Chauncey he didn't get shots he deserved. Bet he averages close to 20 ppg rest of seasons. At their best game, they're very entertaining to watch though. And watch their home games. seriously, if he just engages himself and plays mature he can be great. There's little he can't do. but a lot of defense is just effort/desire. Good win for my Knicks. We actually play good defense last night considering we allowed cleveland to score 115 on us. I'll be curious to see what they do in summer. They are a lot closer to competing than people think. In my opinion, a good defensive center (Tyson Chandler) and maybe a little more depth and they could challenge. A defensive center would go a long way. We haven't had that kind of presence since Marcus Camby. Hopefully,we can move for perkins in the summer if he is available. Perkins is possibly best man to man defender in the post behind duncan and howard though..
boston couldn't really offer him more than about 20 mil for same period, hence the trade. 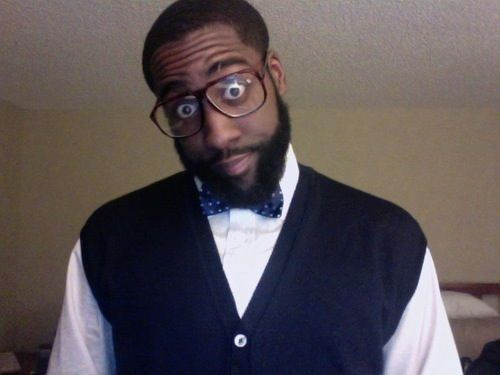 Westbrook/Harden/Durant/Ibaka/Perkins.... perkins is 26, the rest are under 23. Their future is VERY bright. Last edited by Senatore_M84; 01-03-2011 at 18:05. In 2 years maybe, now they already have problem to be solved with this trade. Without Green, Westbrook n Durant have double teamed lot more n reduce their drive-in numbers. I believe Scott Brooks can find new schemes for them though, n by then they're legit. how many teams will the big east get into the tourney? how will conference tourneys shake up the ncca field? you're underrating harden and ibaka offensively. They'll get more shots and produce. Ibaka is a mad man, and has developed a nice mid range jumper, like bosh almost. He rebounds and defends much better too. Harden, is only on the bench because they like to mix up there offense and have thabo in as defensive specialist. Harden can score 20 a game if he was given the ball. I think he'll play more with thabo at SF when Durant is out. ibaka is averaging 9.2 on only 6.8 shots. Harden 10.7 points on only 7.4 shots. Both can easily score more with more offense they'll get now. just checked shot charts... ibaka is hitting 44% on 16-22 footers. He's got a mid range game to go with his explosive dunking. He's definitely a better pf than green going forward (and 3 years younger). I know, but for now they're clearly affected by this n need for awhile to adjust/have new systems. With Green, its clear Durant and Westbrook can easier to attack the rim because no one can ignore Green either. And practically that's OKC game. They freaking bad at 3PTS% and now they forced to shoot jumpshot more (double-marked, open-man, shoot) Its just pretty different with their scheme they using this season. Harden N Ibaka can help, but again its need a time.. And I doubt they're already "set" when playoff comes. But they're ready to dominate soon. I still think OKC needs a little more to beat the lakers even with Perkins. I do think they have the ability to upset the spurs and mavericks though. yeah, i want to clear it up. I don'tthink OKC will beat san antonio, much less Lakers or Dallas this year. They are already top 4 in west. The 3 above them all have cores over 30 How many more years do lakers, spurs and dallas have? Maybe 3 MAX. Lets say Lakers ca still win west for a couple years... in 3 years, Kobe is 35, Gasol 33, Odom 34. At that point OKC players are approaching their prime, and who knows who they have added. Sam Presti is one of best GMs in basketball. Not a surprise he's a disciple of RC Buford of the SPurs. Spurs are best run organization in NBA. Presti was his assistant till 3 years ago when he joined OKC and rebuilt them. Bufords other assistant Kevin Pritchard was one who rebuilt Portland 4-5 years ago. He graded Aldrdge and Brandon Roy and all other players. Best part about Aldridge and Roy, he didn't even draft them. They were picked higher than portlant, lol. He traded TyRus Thomas for Aldridge and Randy Foye for Brandon Roy. LOL, talk about robbery. Watching Bulls vs Hawks games. I'm freaking love Al Horford, such a talent. finally that fags Josh Smith (good player though) is injured n looks how good Horford if he get more ball. Rose shooting once again blew... ffs, Bulls need stop this Rose shooting hogs habit n attack more from Deng and Boozer. JSmoov is REALLY good. Both him and horford are all start level. I don't get how you can't like Smith. World class defender, 16+ ppg, 9 rebounds, near 4 assists, hits 3s at decent percentage etc.